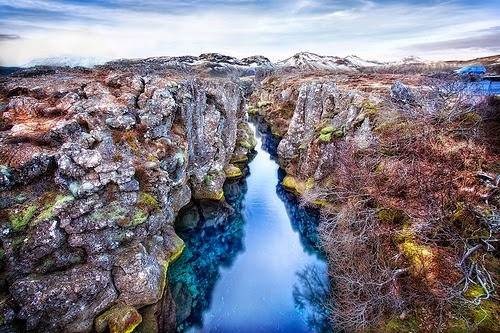 Þingvellir (Thingvellir) National Park has a rich history, stretching all the way back to 930. 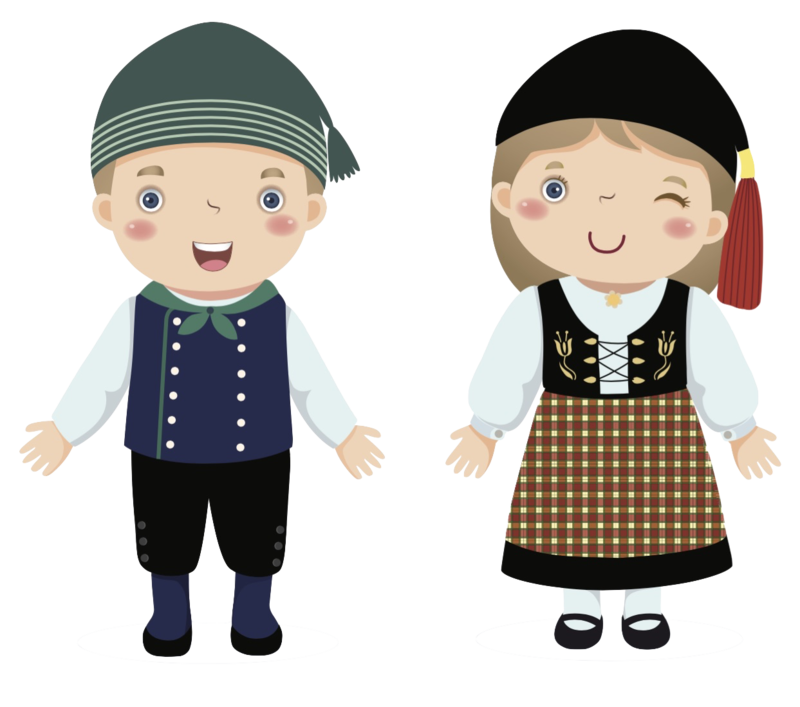 That was when the open-air assembly known as the Althing was established. The annual meeting of the assembly would run for 2 weeks, with laws made and disputes settled. 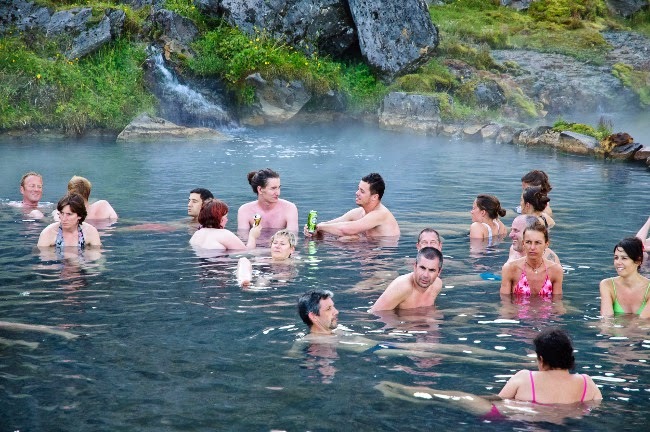 The Althing ended in 1798, but its history still resonates with Icelanders today. The remains of the Althing can still be found in the park. Around 50 booths made from turf and stone are among the remains. It is also believed that a number of artifacts from the 10th century may be buried underground. There is also evidence of agricultural work that took place in the 18th and 19th centuries. It is quite easy to see how the land was worked over the past 1,000 years. This is a place that is of international importance, as proven by a massive amount of research that has been conducted in the area over the past few decades. 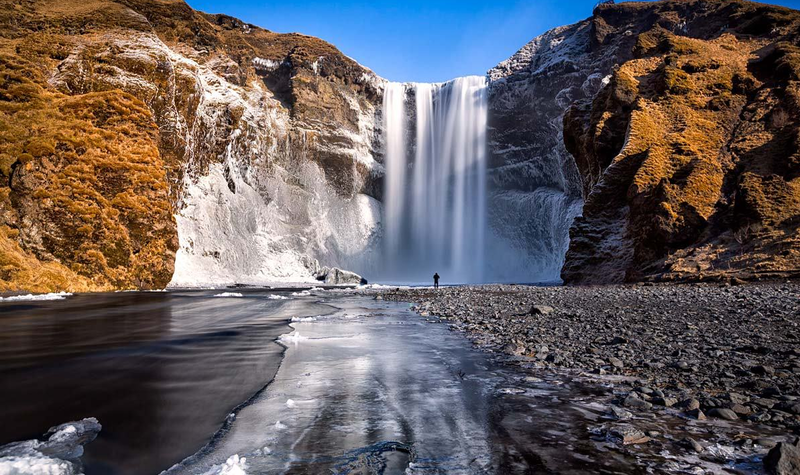 Lake Þingvallavatn is one of the main attractions of this must see geological marvel. 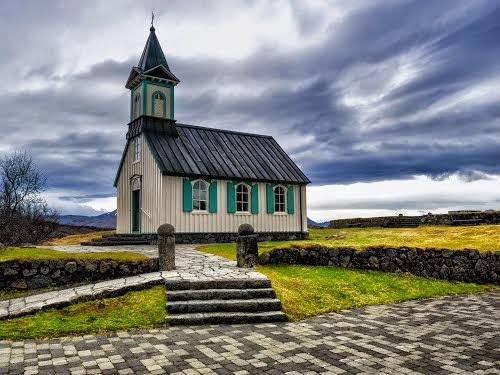 The church at Þingvellir is called Þingvallakirkja, and is open to visitors on a daily basis from 9am to 5pm, from the middle of May through to early September. There are other periods when it can be visited, the full details of which can be found by contacting the Information Center. There are two areas of the park that welcomes campers from June 1st to September 1st. 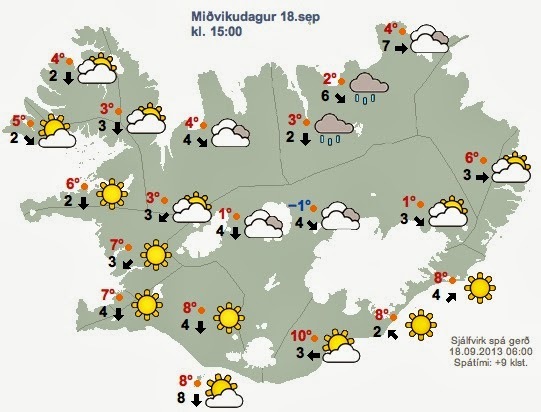 A short 5 minute hike from the Information center is where you Leirar, while the other campground is in Vatnskot, by Lake Þingvallavatn. 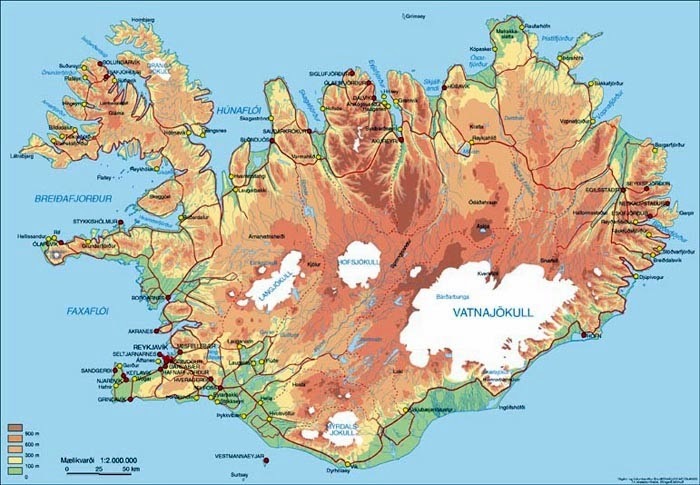 There are 4 campgrounds to be found in Leirar: Fagrabrekka, Syðri-Leirar, Hvannabrekka and Nyrðri-Leirar. An old abandonded farm on the shores of the lake is home to the Vatnskot camp ground. Those looking to camp or fish in this area need to obtain permits from the Information Center before doing so. Children 13 and under can stay overnight for free. If your group is made up of 10 or more adults, you can get a 15% discount when paying the full cost of permits when reserving. 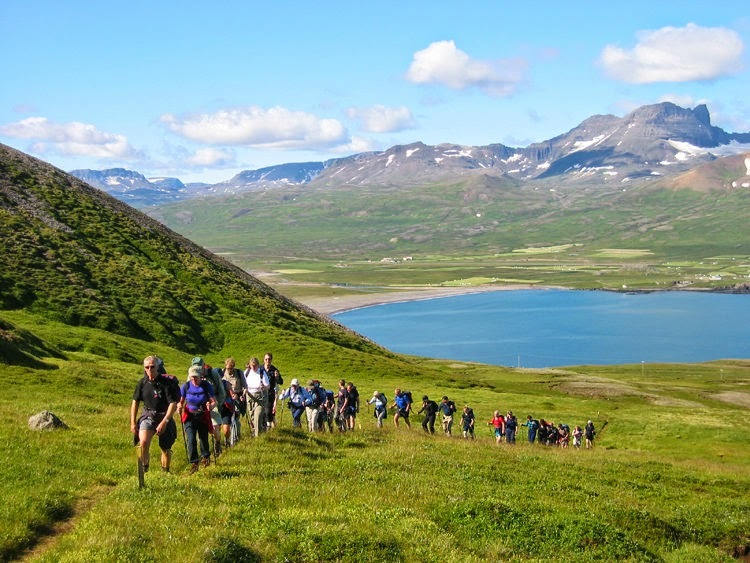 There are hiking trails to be found all over the National Park. Many of these fan out from the Althing and pass through the abandoned farms of Hrauntún, Skógarkot and Vatnskot. The remains of the latter can still be seen. 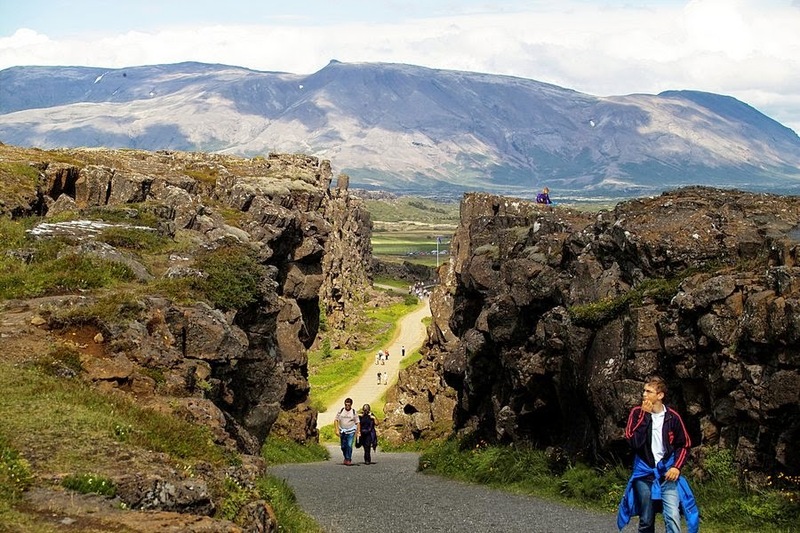 While the majority of the trails are reserved for walkers, the old bridle paths of Langistígur, Skógarkotsvegur and Nýja-Hrauntúnsgata are open to those looking to explore on horseback. 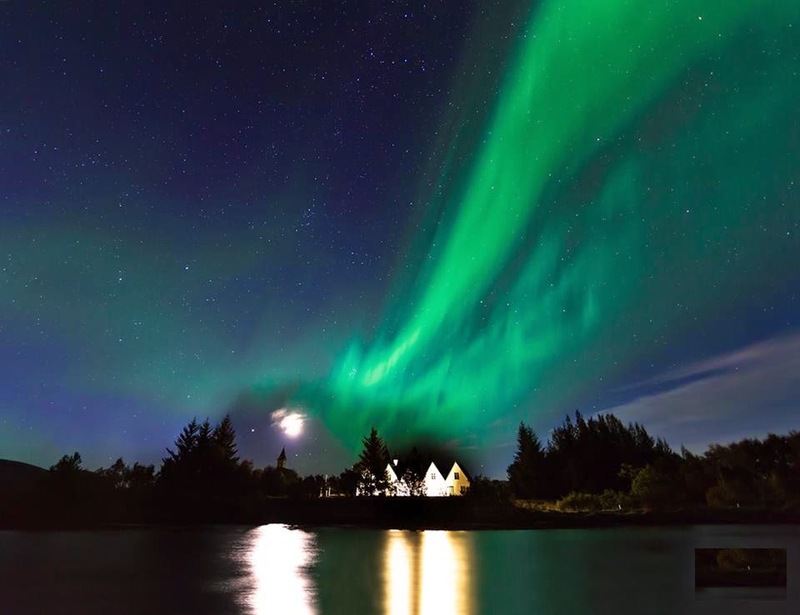 Thingvellir National Park is about 45 km northeast of Reykjavik, and there are a number of different roads that lead to the park. 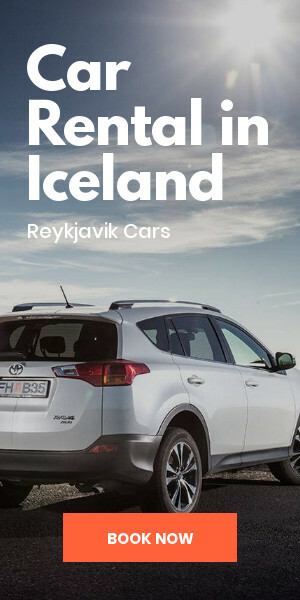 Traveling From Reykjavik: From Reykjavik, head north on the No.1 road. Once you pass through the town of Mosfellsbær, you will then take the next exit to the right at the roundabout that leads to No. 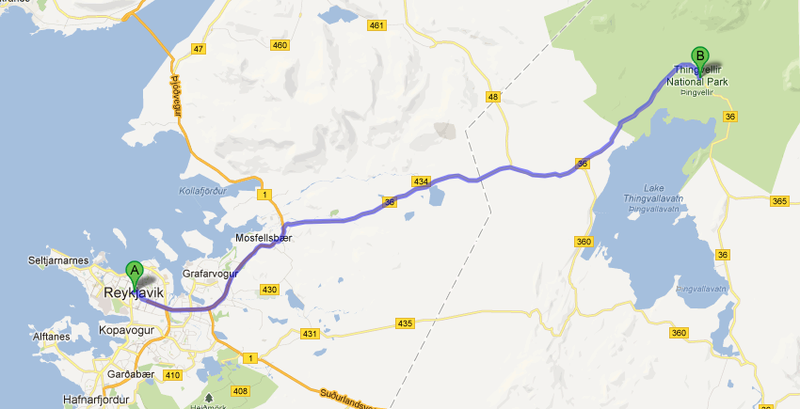 36 to Thingvellir. 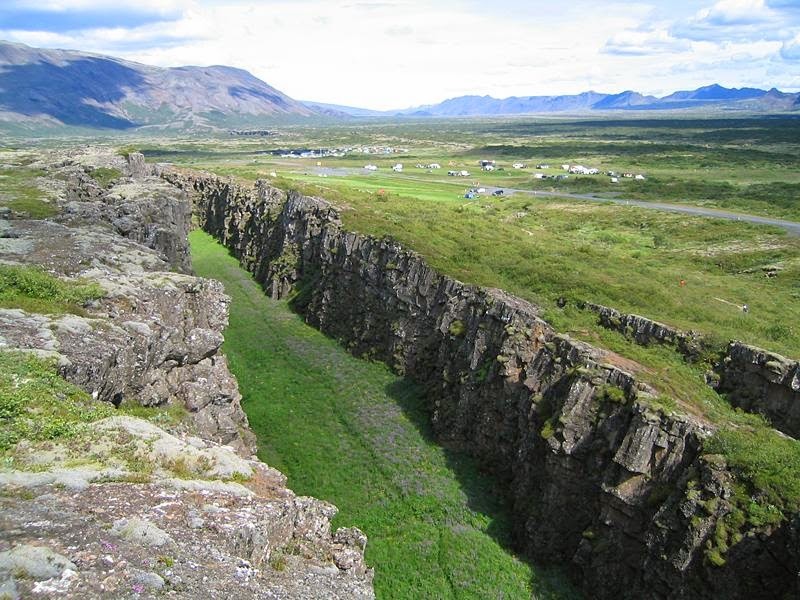 This is the main road that runs into Thingvellir, and it remains open and ploughed through the majority of winter. 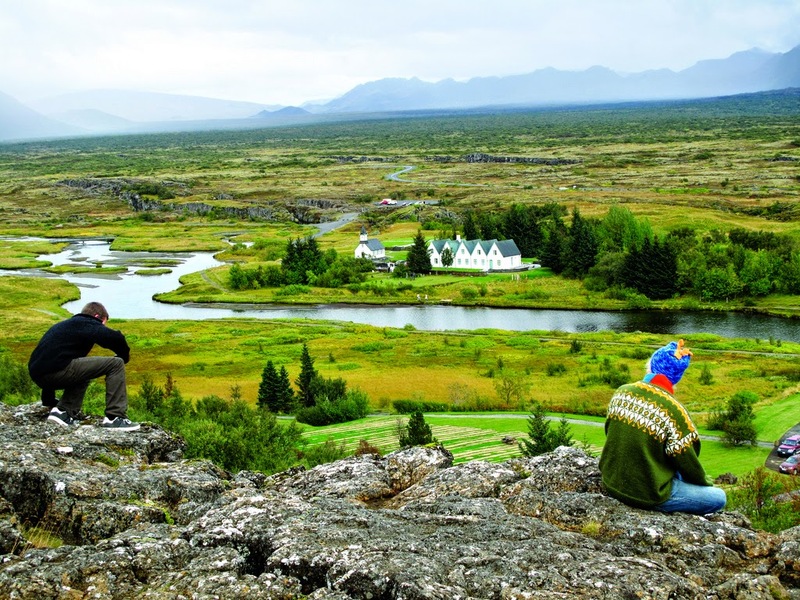 The Þingvellir National Park Information Center is close to the camping grounds in Leirar. It remains open from 9 am to 5 pm, May 1st through September 30th. The history and general information of the National Park can be found here, as can maps that clearly show all of the marked trails. 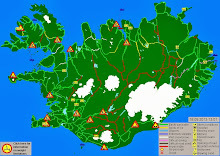 Road conditions are routinely posted, as is information about other areas of interest in the National Park. There is an excellent bookstore in the center. 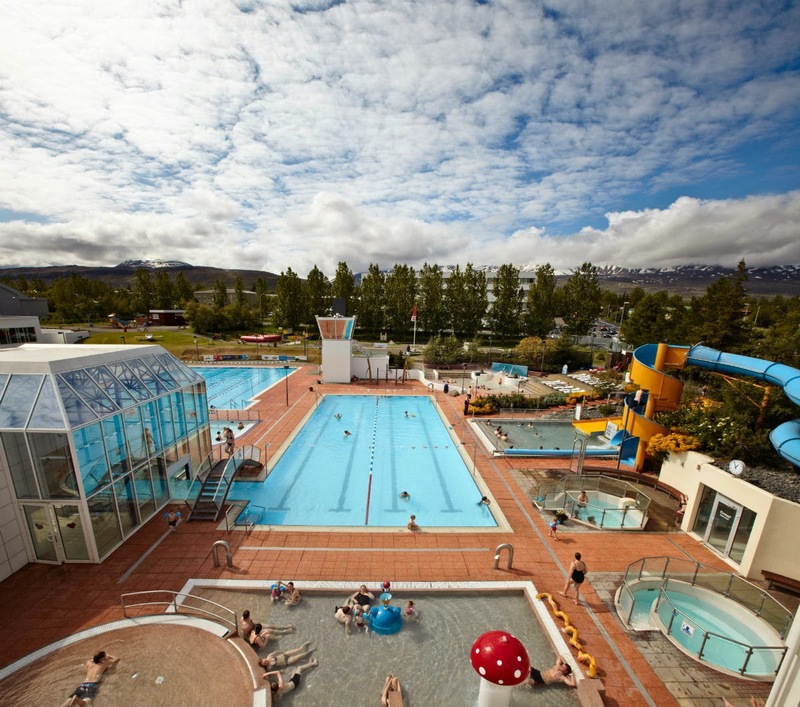 You will also find a cafeteria that is open daily from April 1st to October 31st, and on weekends during the winter months.